At CL Fabrication, we believe in the product we make. Product with quality and strength to stand up to your toughest jobs. Your complete satisfaction when buying CL attachments is equally important. This is why you receive a 30-day money back guarantee. Any CL Fabrication attachment may be returned within 30 days of it’s ship date. If you are not fully satisfied, simply ship the attachment back to CL Fabrication for an exchange or a full refund of the products original price. It’s That Simple! Once you receive your attachment, we recommend you keep the pallet your attachment was received on as well as any packing materials. In the event, your attachment doesn’t meet your needs, you have the appropriate shipping material to return the product back to CL Fab. The attachment, if not satisfied, may be returned or exchanged within 30 days from the date the attachment originally shipped. 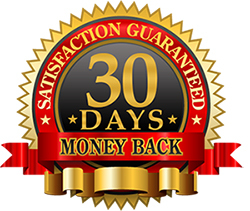 The 30 day guarantee is non-transferable and does not cover items that have been modified or damaged by extreme abuse/usage not in accordance with product instructions, improper care or maintenance. 60 months from the date of sale by the original retail purchaser. This warranty does not cover parts or components that CL Fabrication INC.
does not manufacture such as hydraulic hoses and cylinders. 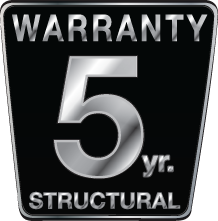 Under no circumstances will this warranty cover any claimed defective part or component, which, in the opinion of CL Fabrication Inc., has been subjected to misuse, unauthorized modification or alteration, or to an accident. Obligation of CL Fabrication Inc. under this warranty shall be exclusive and be limited to repairing or replacing, free of charge, any part or component that, in the judgment of CL Fabrication Inc. shows evidence of such defect, provided further that such part shall be returned within thirty (30) days from date of failure to CL Fabrication Inc. or its designee, transportation charges prepaid. This warranty does not cover any transportation costs. The sales information received by the customer during the sales process does not supersede this warranty and the specifications of the product in force on the date of sale. THE FOREGOING WARRANTY SHALL BE EXCLUSIVE AND IN LIEU OF ANY OTHER WARRANTY, EXPRESS OR IMPLIED, INCLUDING WARRANTIES OF MERCHANTABILITY AND FITNESS FOR A PARTICULAR PURPOSE AND ALL OTHER WARRANTIES OTHERWISE ARISING BY OPERATION OF LAW, COURSE OF DEALING, CUSTOM, TRADE OR OTHERWISE. CL Fabrication Inc. shall not be liable in contract or in tort (including, without limitation, negligence, strict liability or otherwise) for loss of sales, revenues or profits; business interruption or cost of downtime, loss of use, damage to or loss of use of other property (real or personal); failure to realize expected savings; claims by third parties (other than for bodily injury), or economic losses of any kind; or for any special, incidental, indirect, consequential, punitive or exemplary damages arising in any way out of the performance of, or failure to perform, this Agreement, even if CL Fabrication Inc. could foresee or has been advised of the possibility of such damages. Some states or provinces do not permit limitations or exclusions of implied warranties or incidental or consequential damages, so the above limitations or exclusions may not apply to the original retail purchaser. In addition, this Limited Warranty gives you specific legal rights, and you may also have other rights which vary from state to state. CL Fabrication Inc. reserves the right to make improvements or changes in design or manufacturing specifications at any time, without incurring any obligation to owners of units previously sold. No one is authorized to alter, modify or enlarge this warranty nor the exclusions, limitations and reservations. CL Fabrication has a variety of skid steer & loader attachments designed to stand up to those tough jobs you can’t do alone. Using CAD 3D design & the latest CNC equipment, allows for the most precision in our manufacturing capabilities to provide you a superior product. Added along with qualified welders and our newest powder coating equipment, this product is sure to outlast the rest. CL Fabrication has a team of qualified welders and a leading engineer who bring these products to life. Curtis, owner and engineer, has more than 35 years of experience in the fabrication and manufacturing industry. Combining his experience with his teams knowledge guarantees you a product that will meet your needs!